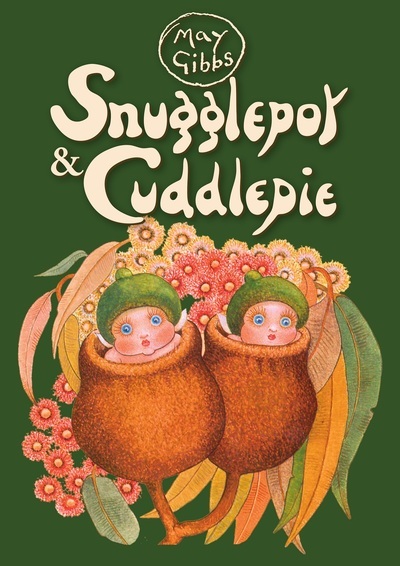 Snugglepot and Cuddlepie, the much loved book series written by Australian author May Gibbs will come to life on stage at the Arts Centre Melbourne in the Spring school holidays. From 17 - 25 September, the magical bush tale will perform at the Playhouse as part of a national tour, ready to entertain family audiences on an action-packed and colourful on-stage adventure. If you, like many Aussies, have grown up with Snugglepot and Cuddlepie, you may be surprised to hear this year is the 100th anniversary of Gibbs’ first book Gumnut Babies, published in 1916. The sweet bush fairy characters in the book series reflect the authors love and understanding of the Australian bush. Gibbs' formula obviously works considering the ongoing success of the Snugglepot and Cuddlepie, which has never been out of print since 1918, and still sells around 20,000 copies a year. Snugglepot and Cuddlepie at Arts Centre Melbourne means you can celebrate the centennial anniversary of the first published book with your children. This new family play sees the charming gumnuts on a mission to see a human. On their journey to the big city they meet friends and foes including Professor Kookaburra, Mrs Fantail, Mr Lizard, Mr Frog, Mrs Snake, Mr Possum and, of course, Little Ragged Blossom. The performance, adapted by Monkey Baa Theatre Company’s Eva Di Cesare, Sandra Eldridge and Tim McGarry, combined with colourful costumes designed by Matthew Aberline, sees the book's much loved characters appear live and animated on the Arts Centre Melbourne's Playhouse stage. Introduce your children to Gibbs' timeless magical world this September. 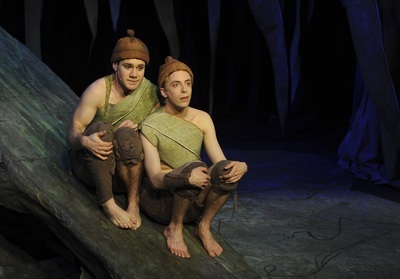 Suited to children aged 5 – 10 years and their families, Snugglepot and Cuddlepie at Arts Centre Melbourne is the ideal theatre show to book in for your kids this Spring, running for just the right amount of time; 55 minutes.